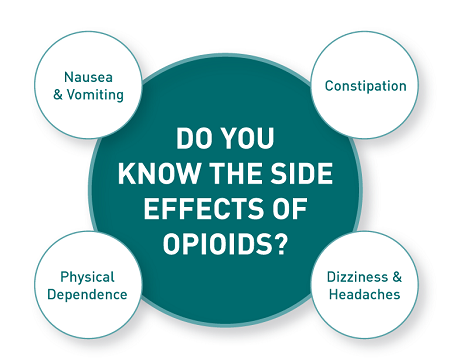 Minimize your risk of opioid addiction while obtaining pain relief for your chronic nerve pain! New method offered to reduce peripheral nerve pain and avoid narcotic dependency. Founded by Dr. Solomon Kamson, MD, Ph.D., Spine Institute Northwest has completed the first StimRouter™ neuromodulation system implantation in the northwestern portion of the U.S. The StimRouter™ is a minimally invasive medical device that helps to alleviate pain by targeting the problematic peripheral nerve. It is a good alternative pain relief treatment, allowing patients to reduce their pain while also avoiding narcotic pain medications and surgeries. It can be used to relieve chronic pain at multiple sites in your body. We at Spine Institute Northwest are very pleased to be able to offer our patients the StimRouter™ system. It is a minimally invasive technique that is an effective non-narcotic pain relief treatment for people who are suffering from peripheral nerve pain, and we consider it to be an invaluable option for our patients. What is the StimRouter™ system? 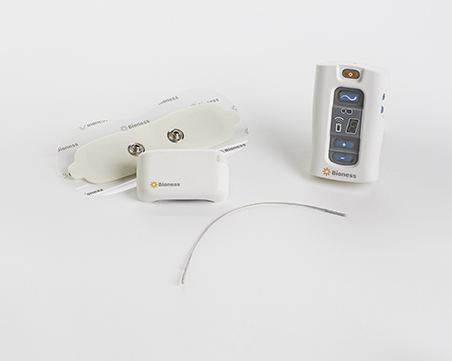 Approved by the Food and Drug Administration, the StimRouter™ is a minimally invasive medical device that provides long-term pain relief without the use of opioid medications. It treats pain at its source where it originates with a peripheral nerve. It is a patient-controlled device and can be used as a supplement for other types of therapy. Clinicians and patients alike are reporting positive results from the device from around the world. StimRouter™ is approved as an effective non-narcotic treatment for peripheral nerve pain. Implanted during a minimally invasive surgery, the device is a neuromodulator which is comprised of an implanted lead with an electrode that is placed next to the targeted nerve. When the device is activated, electric currents are sent from the pulse transmitter on your skin down through the electrode, the lead and the nerve. It is programmed according to the instructions of your doctor, but it is controlled by you with a hand-held wireless programmer. CBSNewYork.com discusses the effectiveness of this new, non-narcotic pain relief method. The StimRouter™ is very user-friendly and has a sleek design. It allows you to have total control over the management of your pain so that you can return to the activities that you enjoy. You can choose from a variety of different stimulation programs by clicking a button. The transmitter has a low profile and is worn externally, and it is rechargeable at your home. The StimRouter™ is a long-term solution for pain that only requires a single, minimally-invasive placement procedure. You will also be able to undergo MRI scans in the future with the device as its lead can stay in place during an MRI. If you’ve suffered from a stroke, you may find that pain is a substantial obstacle to your rehabilitation. Research demonstrates that up to 85 percent of people who survive strokes develop pain in their shoulders. When the axillary nerve in your shoulder is stimulated, it can be effective in reducing your pain. The StimRouter™ system differs from narcotic medications because it precisely targets the source of your pain instead of circulating through your entire body. Current therapies, including nerve injections and opioid medications, have limited effectiveness and are not sustainable in the long-term. The StimRouter™ may be used as long as you need it, but you are able to have the lead removed if you decide to try a different treatment. The Stimrouter system delivers targeted pain relief at its source on your peripheral nerve, which differs from the way that narcotic medications are circulated through your whole body. Current pain treatments, including nerve injections, opioids and slings, have limited effectiveness and are not meant to be used on a long-term basis. You do not need to use the StimRouter as a permanent pain treatment. The small lead is removable if you decide to try a different treatment in the future. To see a demonstration of the StimRouter™ implantation procedure, watch the animated video below. Contact us today for help with your chronic pain! To learn more about the minimally invasive treatment options that we offer at Spine Institute Northwest, contact us today at (206) 496-0630. You can also fill out our contact form, and one of our patient advocates will be happy to answer any of your questions.